Coffee storage is an oft-forgotten but unsung hero of great coffee process systems. Suppose green coffee is in a silo or tote ready for processing; the discharge of the coffee is actually more complicated than just installing a funnel at the bottom of a silo. 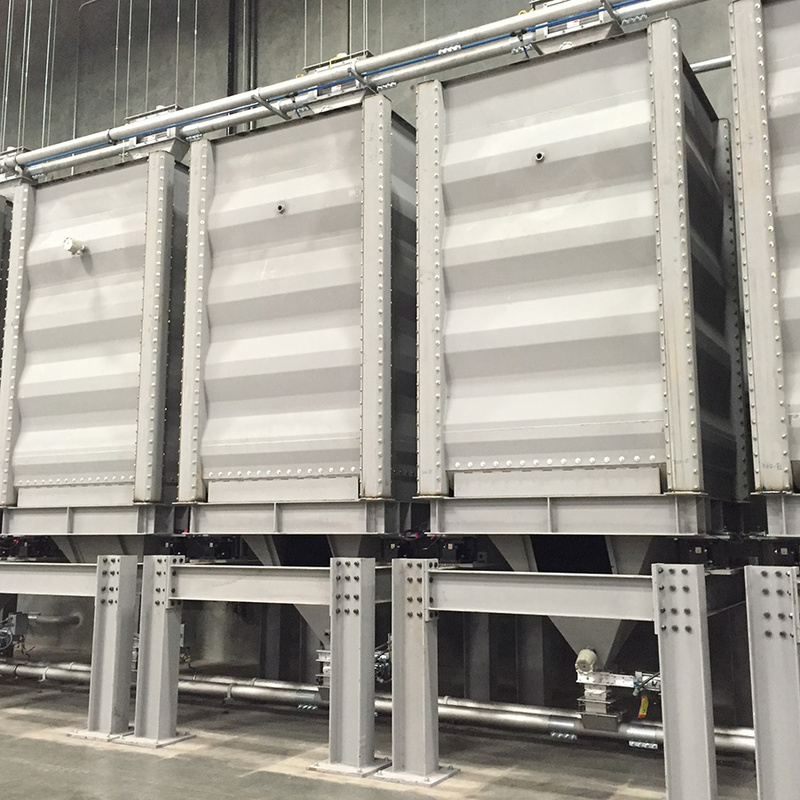 MPE engineers aim for mass flow inside coffee bean silos and totes. Mass flow is when all the coffee is in motion whenever any is withdrawn from the hopper. This is particularly important for maintaining first-in-first-out bean flow. It's especially important for bean blends too. Only through proper engineering can mass flow be achieved. If a silo or tote fails to achieve mass flow, operators end up with what's called funnel flow. Funnel flow is when not all the coffee is in motion during discharge. In other words, an operator ends up with stagnant regions. Stagnant regions as a result of funnel flow lead to a first-in-last-out bean flow. The diagram below demonstrates visually the difference between funnel flow and mass flow. A visual representation of funnel vs mass flow. Visual representation of sifting segregation. Stainless steel is smooth and has the benefit of resisting oxidation. Stainless steel is also expensive. Carbon steel provides great value but is typically not as smooth—which, if not fabricated correctly, can be an obstacle to mass flow. 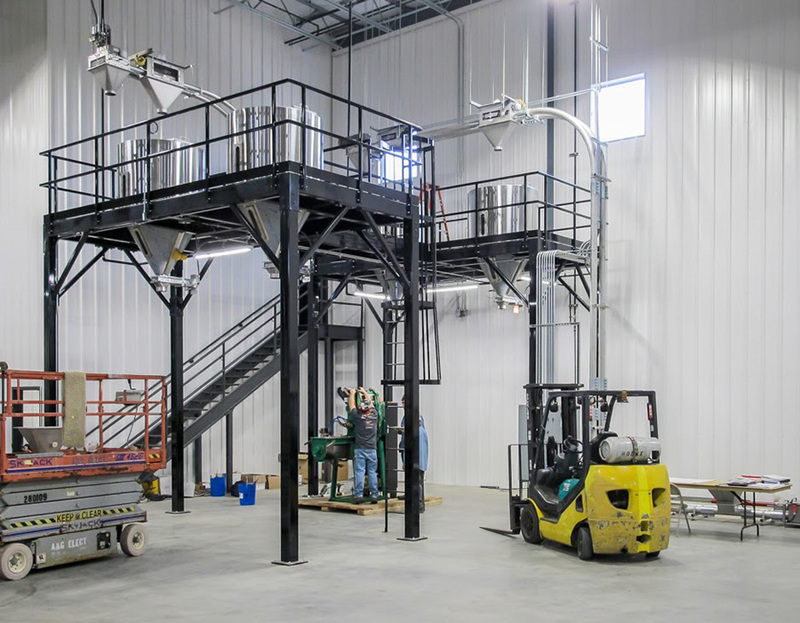 Sometimes silos can be fabricated using both steels; where the vertical walls made of carbon steel and the angled hopper walls of stainless, which offers cost savings. Silo discharge hoppers must be angled to achieve mass flow. This is not a simple one size angle fits all. Steel types and whether the beans will have continuous flow or left for rest are factors that will affect this value. Surface smoothness is critical for any material to ensure mass flow. In short, the hopper walls must impart sufficiently low enough friction for beans to flow along them. Weld spatter must be ground flush and fabrication flaws guarded against. In short, the discharge is modulated to ensure product does not bridge and maintains mass flow as the coffee discharges out. Flow rate should be accomplished with a feeder, not a gate. Also important is that the diameter of the gate. A silo's gate diameter must be larger than the outlet. It sounds simple, but it is often neglected. This completes the overview of discharge principles. Next the types of storage units and related technologies are explored below. Coffee silos above hold green coffee and have load cells and slide gates as part of an automated system. In addition to the featured article image, the silo above exemplifies a typical coffee silo for green coffee. Silos can of course be designed for roasted and ground coffee. Much of the content in the above discharge principles apply to silos. 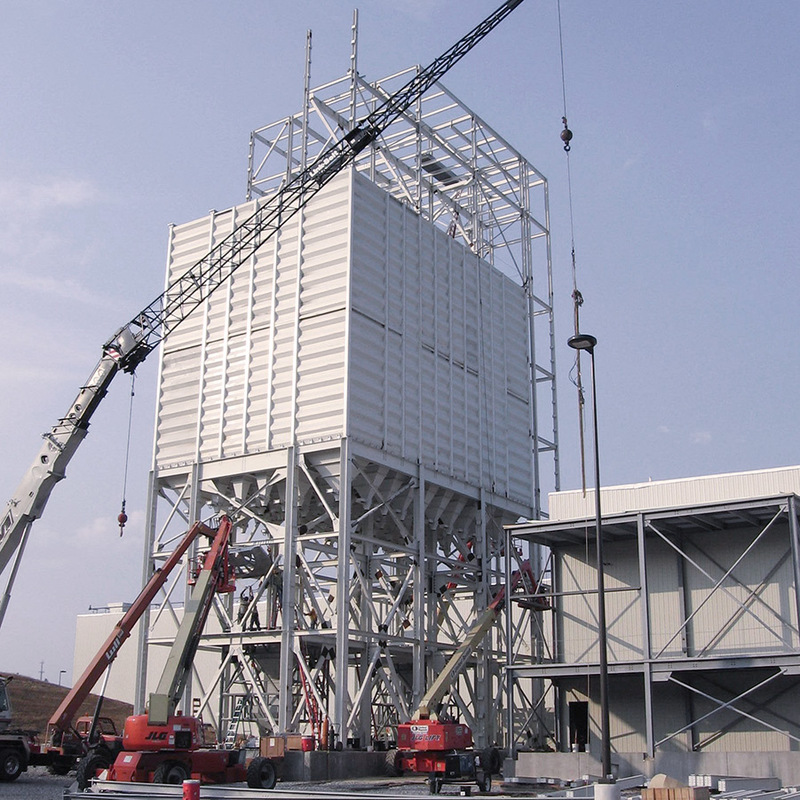 MPE Systems Group can engineer silos of virtually any capacity and intended use. 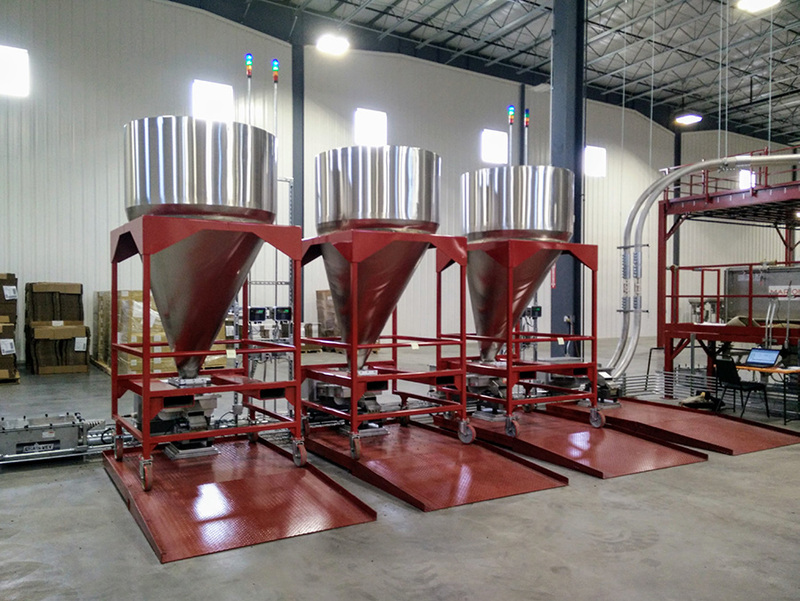 Of note, is MPE's expertise in engineering silos for use of coffee blending and recipe control. With the implementation of rotary intake and discharge valves, a systems operator has turnkey automation and repeatability for creating batches of blended coffee. Such systems combine load cells and feeders to achieve this. Mobile totes are a versatile storage solution for any mid-sized roastery. Flexible placement and ease of handling multiple batches make mobile totes the best choice for the facility above. They can be made from stainless steel or carbon steel. They can accommodate coffee in any form: green, roasted, and ground. Surge bins installed on a mezzanine serve to hold (whole bean) coffee prior to grinding and then hold (ground) coffee prior to discharge into mobile totes. Surge bins provide a flexible way to temporarily hold and regulate the flow of coffee through each process. An operator only has to run one process at a time which saves on energy consumption and equipment wear. Also, as depicted in the system above, an operator can grind coffee while mobile totes are being used elsewhere. As mentioned earlier, feeders are the appropriate manner to modulate the flow of coffee discharge out of any tote or hopper. Attempting to use a slide gate will prevent mass flow and cause sifting segregation. 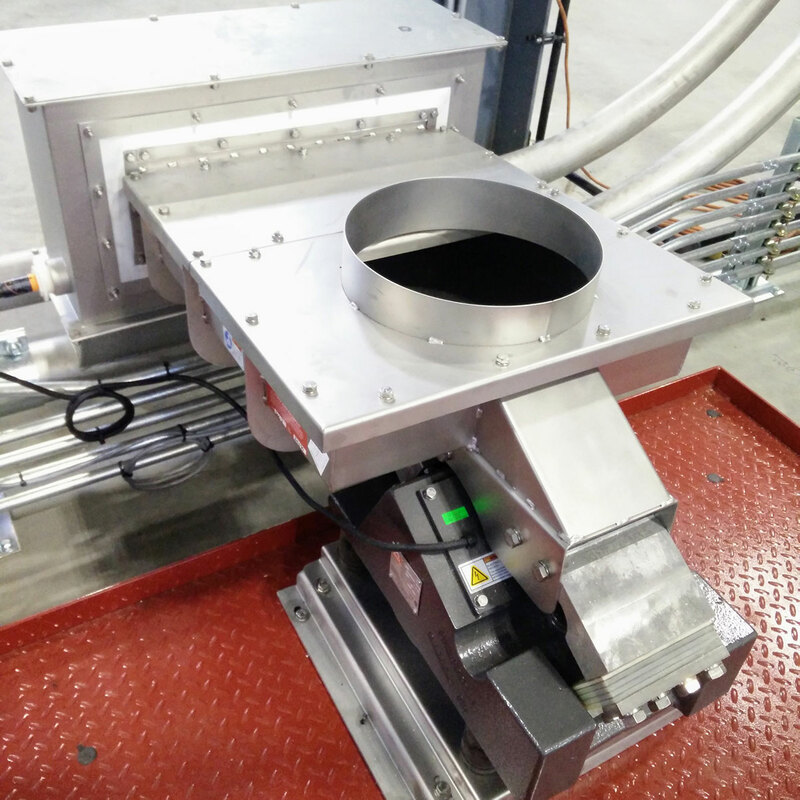 The vibratory tray feeder also sits on a floor scale (basically large load cells) which measures the exact amount of coffee emptied from the tote into the tray feeder. 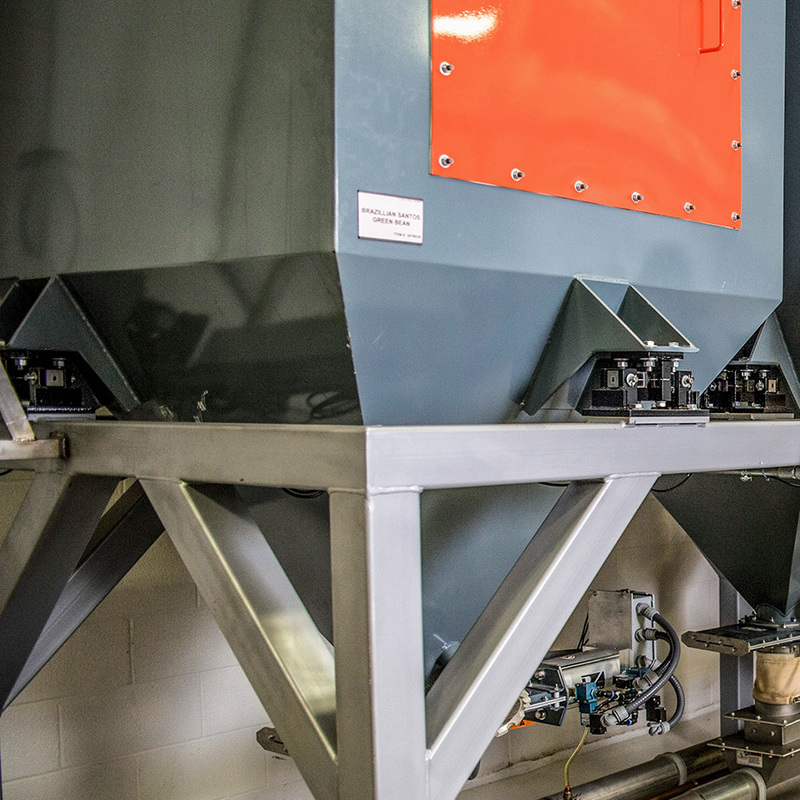 This is all part of an automated turnkey process system outfitted at the above roastery. Load cells on which coffee silos sit. Stationary silos as pictured above sit on load cells which allow operators to know exactly how much coffee is added to or discharged from the silo. These devices send this information to the system's PLC. 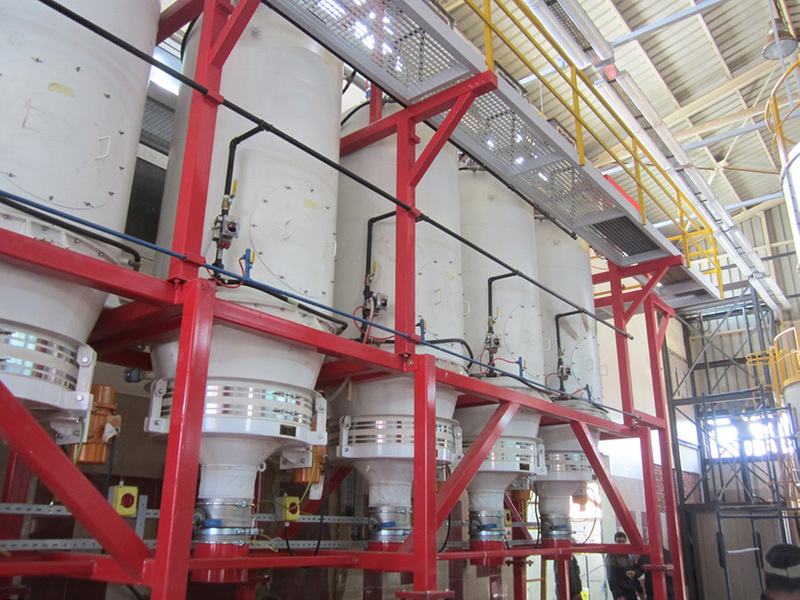 Degassing silos as part of a coffee process system. Degassing silos are designed for pulling out CO2 from freshly roasted coffee. This process can be much better controlled inside hermetically controlled silos that preserved the freshness of the coffee by protecting it from surrounding O2 which will make the coffee go stale. Inside each silo is a degassing tree that pulls the CO2. MPE offers proprietary designs used in leading roasteries around the world. Located in Fort Dodge IA, Premier Bird Foods produces high quality bird feed.